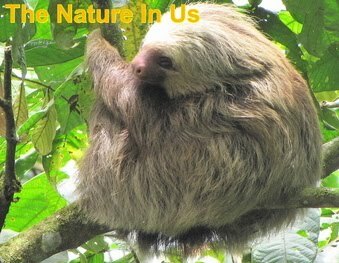 The Nature In Us: Are We Beautiful or Twisted? 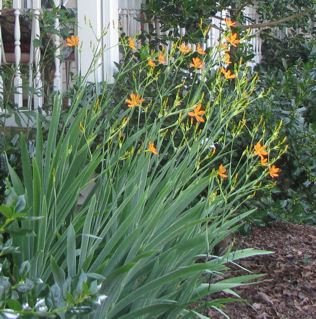 I was enjoying the garden one morning with scissors in hand, dead-heading plants so they continue to bloom on and on. After all the blooming stage of a plant is the most glorious, right? 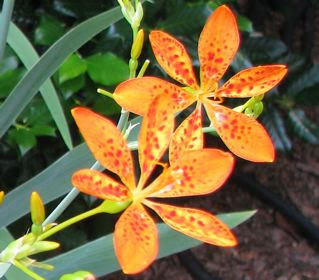 Our Blackberry Lily (which is actually part of the iris family) provides lots of snips each morning since it is profuse with flowers daily. 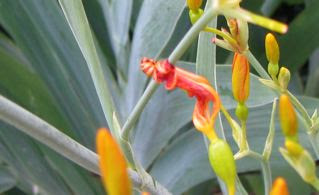 It's one of the plants that the deer have never nibbled on. The progression of the flowers from bud to being snipped particularly fascinated me on this particular morning. I looked at the tiny little buds that would soon be spread wide open and they reminded me of the infant stage of our lives. As babies we are so "perfect" looking with all toes and fingers presented and it doesn't matter what your definition of cute is, there's something about a baby that is just precious and "perfect." Innocent and naive, total abandon and expectations that strain and drain the strongest of mothers. There's a stage generally around the time we graduate from school that we've come into full bloom. We've gotten through the awkward years and hopefully learned that our identity is not about what we wear or how we look. There is a maturity about us adorned with the cap and gown of graduation. Dreams, goals, future plans ... all looks bright and all is possible. There's an air of immortality in us at that age. Life is full of living well. 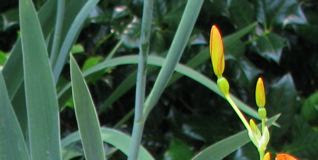 As you can see the expired bloom wraps itself up and the seed pod would continue to grow and take energy from the plant. I do let some seed pods grow into full size, but it's at the end of the summer for the Fall berry pickings of the birds preparing for winter. In summer they've got plenty of food choices and aren't as interested in these berries. 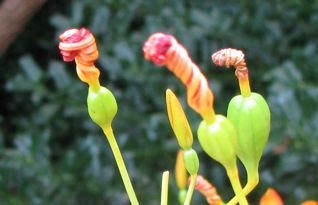 As I was clipping away at these twisted flowers I thought about another stage of life. Somewhere along the path we hit the bumps and dips in the road or sometimes a concrete wall. Life has a way of kicking you when you're down so it's easy to revert back to the not-so-great moments of childhood during the difficult years. After all, issues that are not dealt with only mount up to become mountains to climb later in life, so it's always best to spend some time working through things ... stuffing them back inside doesn't work at all. At times like this nothing makes sense and you feel twisted and hung out to dry. We get better or bitter. It's our choice. The best choice is to reach out to God and His promises will hold you up. His Word will sustain you each and every day if you spend time in it. There is truly grace sufficient to keep joy in your life regardless of the circumstances. I noticed a few expired blooms reaching out and hanging on to a stem or other bloom. It reminded me that we can reach out and grab hold of anchors. There are friends and family to help you make it through. It's not the time to bury yourself in self-pity and shrink away. Reach out and touch someone. You've got something to offer them and they've got something for you. I think I am beautiful and twisted. I have a strong faith and believe in God. I believe everything and everyone is beautiful. Deep inside my beauty to the core is a twisted soul that once gave up on God, but found peace inside again. All of us a flawed, none of us are perfect. Once we learn to accept the bends and twists of our lives, we begin to understand the peace and beauty within.